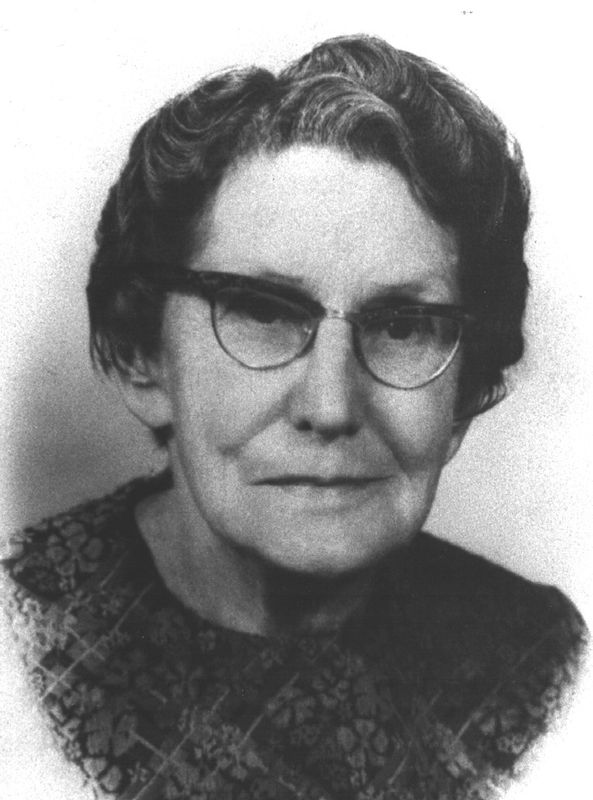 Juanita Brooks was a professor at [then] Dixie College for many years and became a well-known author. She is recognized, by scholarly consent, to be one of Utah’s and Mormondom’s most eminent historians. Her total honesty, unwavering courage, and perceptive interpretation of fact set more stringent standards of scholarship for her fellow historians to emulate. Dr. Obert C. and Grace Tanner had been life-long friends of Mrs. Brooks and it was their wish to perpetuate her name through this lecture series. Dixie State College and the Brooks family express their thanks to the Tanner Family. W. Paul Reeve grew up in the small southern Utah town of Hurricane. His ancestors were sent to Utah’s Dixie in 1861 as a part of the Cotton Mission and portions of his family have been there ever since. His father raised beef cattle on the Arizona Strip, so his youth was filled with horse riding, branding, irrigating, and manure. 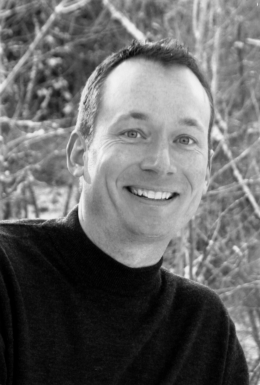 Reeves holds a BA and MA in history from Brigham Young University and a PhD in history from the University of Utah. At the U, he studied under Dean L. May and was May’s last doctoral student to graduate before May’s untimely death in 2003. Reeve’s first full-time teaching position was at Southern Virginia University in Buena Vista, VA. While there, he enjoyed taking students to Monticello, Jamestown, and Colonial Williamsburg, as well as going camping with his family in the Blue Ridge Mountains. In 2005 the University of Utah hired Reeve to teach Utah history and the history of the American West — the position held by his mentor, Dean May. He feels honored to be at the U and to follow in May’s footsteps. His first book Making Space on the Western Frontier: Mormons, Miners, and Southern Paiutes, a revision of his award-winning dissertation, will be published in March 2007 by the University of Illinois Press. Reeve currently serves on the advisory board of editors for the Utah Historical Quarterly and on the local advisory council for the Museum of Utah Art and History. He was awarded a Mayers Research Fellowship at the Tanner Humanities Center at the University of Utah for fall 2007. He will be researching nineteenth-century notions of Mormon physical otherness. Reeve is married to Beth Brumer and they are the parents of four wonderful children — Porter (age 8), Eliza (age 6), Emma (age 4), and Hunter (age 18 months). As if four children were not enough, the family also adopted a poodle last year, whom Porter promptly name Buck, after the dog in Call of the Wild. Amidst the chaos of raising four kids and a poodle, the Reeves enjoy reading, hiking, sledding, camping, soccer, art, and gymnastics. Although it is not clear that Snow ever found his man, it is apparent that the policy he dictated—“to hold in check outside influences”—came to characterize the nature of Mormon settlement in southern Nevada and Utah. Mormons there spent much of their nineteenth-century existence posturing defensively against miners at Pioche and Silver Reef. Historians have primarily focused upon the Mormon capital as the site where outside influences eroded Zion’s communitarian space, thereby dragging Utah into mainstream American political, economic, and social worlds by the end of the nineteenth century. Even Mormon leaders perceived a corrosive force at work in Salt Lake City. In 1865 Heber C. Kimball, first counselor to Brigham Young, declared to a Centerville, Utah, congregation: “I admit that the people are better in the country towns than in Great Salt Lake City, for the froth and scum of hell seem to concentrate there, and those who live in the City have to come in contact with it; and with persons who mingle with robbers, and liars, and thieves, and with whores and whore-masters, etc.”3 Even though Salt Lake City bore the brunt of the gentile impact, the contest over Zion’s soul also engulfed Utah’s southwestern frontier. In fact, due to the physical separation of gentile and Mormon towns, southern Utah leaders could more clearly draw lines meant to divorce their perceptions of the good from the evil. Mormons attempted to defend those lines on a variety of levels, political, social, geographic, and economic. Initially the battle raged geopolitical, as frontier saints jostled with miners over land and resources in the wake of silver discoveries at Pioche in the late 1860s and then at Silver Reef which was founded in 1876. 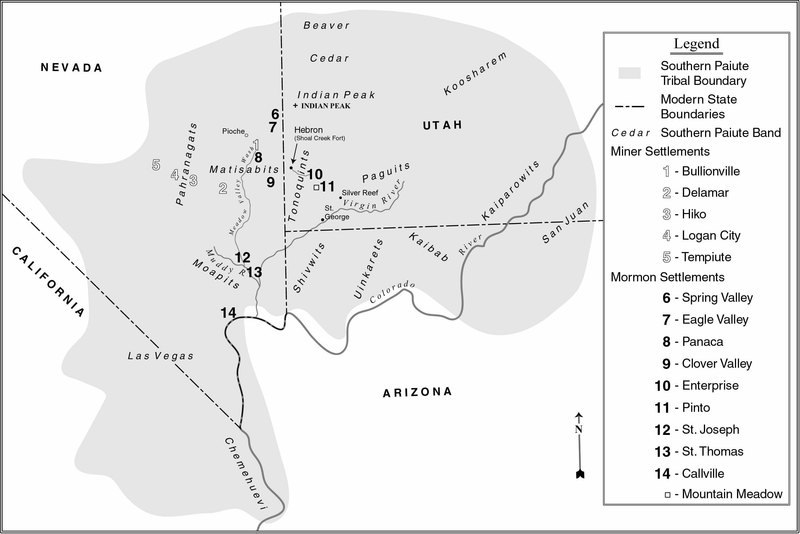 However, as these mining camps rapidly assumed regional economic importance, the contest over land for the Mormons devolved into an effort to resolve conflicting temporal and spiritual concerns. The saints struggled to define the terms of their contact with Pioche and Silver Reef; many of the faithful, including Brigham Young, cuddled with those towns economically while declaring themselves spiritually repulsed. It was a problem that southern Utah Mormons learned to live with, but never fully resolved. Miners also grappled with inconsistency in their views toward their Mormon neighbors. They generally looked across the cultural divide at the Mormons and noticed striking differences, most of which they described as un-American. In general they perceived themselves as the true guardians of American destiny and progress and the Mormons as barriers standing in their way. Miners denigrated Mormons for their general policy against mining for precious metals, for a perceived blind following of “priestly rule,” for their complicity in the Mountain Meadows Massacre, and for polygamy. Eventually settlers at the outposts seemed to resign themselves to the fact that Pioche was there to stay. Erastus Snow even made peace with the idea. He visited Pioche in 1872, met with William Raymond and John Ely, two of the town’s largest mine owners, and according to Mormon accounts was treated “very kindly.”9 Nonetheless, Snow returned to St. George and continued to paint the raucous camp darkly. In essence, southern-Utah Mormons worked out a defense filled with inconsistency. Economically they enthusiastically embraced Pioche; spiritually, however, they viewed it as a threat to Zion, the very embodiment of a modern-day Babylon. According to one miner, other Latter-day Saints also moved to the mining camps in eastern Nevada: “Quite a number of families from the Mormon settlements have gone in and settled on lands there,” the prospector wrote, “and many more contemplate going in, early in the spring. Most of them . . . are apostate mormons; they consider it a fine chance to divest themselves from Brigham’s power.”19 Thus, whether fleeing on their own accord or being forced out, mining involvement became a test for some of their commitment to the Mormon cause. For the Dixie Cooperative, however, things did not work out as hoped. Bishop J. T. Willis of Toquerville chafed under the attempt to channel Pioche trade through the produce company. His protest killed the cooperative in its infancy. In July, peddlers from Toquerville violated their quota of one load per week, assigned to arrive on Tuesdays. Three Toquerville men had taken loads of fruit to Pioche in the same week and disrupted the established pattern. Agents of the Dixie Produce Company wrote to Bishop Willis and castigated him for the violation. They even warned Willis that failure to comply with company regulations was a matter of LDS church fellowship. Just like the Mormons, miners at Pioche and Silver Reef had opportunities of their own to formulate opinions of their LDS neighbors, likely on a daily basis. As Mormons from throughout central and southern Utah freighted and traded at the mining camps it was easy for the miners to look down upon them. The massacre and its subsequent cover-up offered plenty of opportunity for miners at Pioche and Silver Reef to view their Mormon neighbors with a jaundiced eye. Blood from the slaughter soaked deeply into the southern-Utah soil but never deep enough to disappear altogether. Pioche developed its own connection to the massacre, which miners used to re-stain Mormonism with grisly proof of murder and conspiracy. Reports from Silver Reef also hinted at a Mormon plot designed to shield Brigham Young and silence Lee. After Lee’s execution one account claimed that Young told St. George Mormons that “Lee’s residence and address is now in h-ll; that Lee did not go to h-ll on account of the little spree at Mountain Meadows, twenty years ago, but for telling lies about Brigham and the other boys.”44 Another story from Silver Reef suggested that Rachel Lee, one of John D. Lee’s widows sought vengeance against Brigham Young for turning his back on her husband. As the newspaper put it, on Young’s return trip to Salt Lake City in 1877, he was “guarded by three wives, two Apostles, and fourteen mounted men, armed with carbines.” “It is said that Rachel has taken to the mountains well fixed with pistols and rifles,” the story continued. “She swears that if she catches the ‘old sinner’ she will unsex him.”45 Clearly the massacre and its aftermath shaped the views of Pioche and Silver Reef miners toward their LDS neighbors. The final cultural gap that separated the miners from Mormons centered upon polygamy in general and Mormon women specifically. Southern Utah Mormons fretted over the potential loss of their women to the seductive gentile miners, while the miners viewed Mormon polygamy with scorn and Mormon women as would-be companions. Perhaps in no other way was the contrast between the two societies more stark than in their familial lives. At Pioche in 1870 there were 1,248 men for every 100 women. Only forty-two families lived at Pioche that year, in a population that totaled over 1,100 people.46 At Silver Reef the story was similar. Out of a total population of 1,046 in 1880, 459 were single men, a full 45 percent. As historians Douglas D. Alder and Karl F. Brooks note, “There were more single men in Silver Reef than there were in the rest of the county combined.”47 Given these demographic disparities it is no wonder that women became a source of contention between the two cultures. Exploring the cultural gulf that tended to isolate the Mormons and silver miners behind walls of intolerance can teach important lessons not only about life in nineteenth century southern Utah, but about the nation as a whole. At its most basic level, the struggle between Mormons and miners in Utah’s Dixie is a frontier story about what it meant to be an American during the last half of the nineteenth century. Miners at Silver Reef and Pioche embodied American progress, individualism, acquisitiveness, and destiny. To the miners at Pioche and Silver Reef, Mormon polygamy and theocracy fell outside prevailing standards of Americanness. As Mormons abandoned polygamy and theocracy the walls of separation diminished and even miners at Pioche were willing to welcome their Mormon neighbors into the sisterhood of states. In essence, then, the Mormons and miners, through their forty-year struggle to coexist had planted a portion of America’s national identity into the desert soil of Utah’s Dixie. On a local level, too, there are important lessons. The cultural gap separating Mormons and miners illustrates fundamental issues governing the human condition. What does it mean to be a good neighbor, especially to peoples with drastically different values than yours? Is it possible to look past cultural diversity to view broader commonalities? The Mormons and silver miners who inhabited Utah’s Dixie struggled to answer those questions for themselves. For the most part members of both groups looked across the cultural gap and described the peoples they saw there in disparaging ways. Mormons and miners both tended to create caricatures of each other that exaggerated each group’s undesirable features. Mormons looked at Pioche and Silver Reef and described the miners that they saw there as wicked-unprincipled-ungodly-evil-gentile minions who were at work in the devil’s kingdom. Similarly the miners viewed the Mormons as uncivilized-barbarous-fanatical-polygamous murderers, who were blind dupes to priestly rule. Peoples from both groups generally spent little time looking past differences to find commonalities that might have been used to bring them together for the common good. They also failed to recognize how interdependent their lives had become. It was easy, in other words, for Mormons and miners to belittle each other from across deep cultural divides, but when they took time to develop relationships, perceptions generally changed. 1. Considerable portions of this lecture are gleaned from my book, W. Paul Reeve, Making Space on the Western Frontier: Mormons, Miners, and Southern Paiutes (Urbana and Chicago: University of Illinois Press, 2007), chapters five and six. Additional research allowed me to add the perspective of Silver Reef, which is not found in the book. As I argue in the book, during the nineteenth-century there were at least three competing world views that came into conflict in southern Utah and which jostled for power, that of the Mormons, silver miners, and Southern Paiutes. 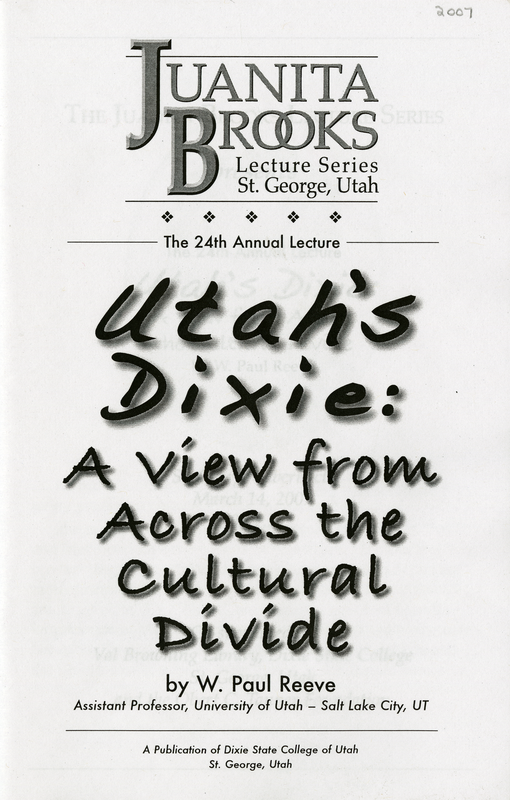 For the purposes of the Brooks lecture I have chosen to focus upon the chasm separating the Mormons and miners and I refer you to Making Space on the Western Frontier for the added perspective of the Southern Paiutes. 2. Erastus Snow, St. George, to Brigham Young, Salt Lake City, Journal History of the Church of Jesus Christ of Latter-day Saints (chronology of typed entries and newspaper clippings, 1830 to the present), 22 July 1869, 1-2 (hereafter cited as Journal History), Family and Church History Department, Church of Jesus Christ of Latter-day Saints, Salt Lake City, Utah. 3. Heber C. Kimball, 19 February 1865, Journal of Discourses, 26 vols. (London and Liverpool: LDS Booksellers Depot, 1855-86), 11: 82. 4. For a more complete exploration of these two competing ideals see Reeve, Making Space on the Western Frontier, chapters two, three, five, and six. 5. James G. Bleak to Erastus Snow, Journal History, 2 April 1866, 8-9; James G. Bleak, “Annals of the Southern Utah Mission,” typescript, vol. A, 223-24, Special Collections, J. Willard Marriott Library, University of Utah, Salt Lake City. 6. Bleak, “Annals,” vol. A, 309. 7. Bleak, “Annals,” vol. B, 23. 8. Snow to Young, Journal History, 22 July 1869, 2. 9. Bleak, “Annals,” vol. B, 146. 10. Journal History, 5 June 1870, 6. 11. Bleak, “Annals,” vol. A, 196-7. 12. Hebron Ward Historical Record, vol. 2 (1867-72), 42, microfilm, Historical Department, Church Archives, Family and Church History Department, Church of Jesus Christ of Latter-day Saints, Salt Lake City. The following year local leaders instructed the Hebron congregation “to cease trading with and sustaining gentiles—don’t run after the mining or rail roads, but stick to the farms and business at home and you will be richer and have more of the spirit of the gospel.” (vol. 2, 63). 13. Bleak, “Annals,” vol. B, 132-35. 14. James W. Hulse, Lincoln County, Nevada, 1864-1909: History of a Mining Region (Reno: University of Nevada Press, 1971), 22-3, 28; Michael Bourne, “Early Mining in Southwestern Utah and Southeastern Nevada, 1864-1873: The Meadow Valley, Pahranagat, and Pioche Mining Rushes” (Master’s thesis, University of Utah, 1973), 114. Washington County’s 1870 population totaled 3,064, while by 1880 it had grown to 4,235. See Allan Kent Powell, “Population,” in Utah History Encyclopedia, ed. Allan Kent Powell (Salt Lake City: University of Utah Press, 1994), 432. 15. Bleak, “Annals,” vol. B, 173-75, 179-82; Hebron Ward Historical Record, vol. 3 (1872-97), 14, holograph photocopy, Enterprise Branch, Washington County Library, Enterprise, Utah. For an analysis of the type of strain such trade likely placed on the Utah economy see Dean L. May, Three Frontiers: Family, Land, and Society in the American West, 1850-1900 (Cambridge: Cambridge University Press, 1994), 173, especially note 55. 17. After citing Erastus Snow’s 1865 order to cut off “any man that would go to the western mines as a miner,” historian Leonard Arrington argues that “there are no discoverable instances of such excommunications.” (Leonard J. Arrington, Great Basin Kingdom: An Economic History of the Latter-day Saints, 1830-1900 (1958; reprint, Lincoln: University of Nebraska Press, 1966), 474 note 42). Close scrutiny of local records indicates otherwise. See Reeve, Making Space on the Western Frontier, 94-95, for additional examples. 18. Hebron Ward Historical Record, vol. 2, 36, 44; Rio Virgen Times, (St. George, Utah), 12 May 1869. 19. Daily Union Vedette, 31 January 1866. 20. Pioche Daily Record, 28 March, 24 April 1873. 21. Rossiter W. Raymond, Statistics of Mines and Mining in the States and Territories West of the Rocky Mountains, U.S. Treasury Department, annual report, (Washington: Government Printing Office, 1873), 300; George M. Wheeler and Daniel W. Lockwood, Preliminary Report upon a Reconnaissance through Southern and Southeastern Nevada, Made in 1869, U.S. Army Engineer Department (Washington, D.C.: Government Printing Office, 1875), 54; U.S. House, 39th Congress, 1st Session, Committee on the Territories, The Condition of Utah, House report No. 96, serial set 1272, 13. 22. “‘Brigham’ at St. George,” Pioche Tri-Weekly Record, 24 November 1876. 23. “Southern Utah,” Salt Lake Tribune, 2 May 1876. 24. “Southern Utah,” Salt Lake Tribune, 19 December 1875. 25. “Hurrah for Leeds!,” Salt Lake Tribune, 22 November 1876. 26. See, W. Paul Reeve, “Silver Reef and Southwestern Utah’s Shifting Frontier,” in From the Ground Up: The History of Mining in Utah, ed. Colleen Whitley (Logan: Utah State University Press, 2006), 250-71 for an assessment of Silver Reef’s economic impact upon southern Utah. See also Alfred Bleak Stucki, “A Historical Study of Silver Reef: Southern Utah Mining Town” (Master’s thesis, Brigham Young University, 1966), 104-6; Douglas D. Alder and Karl F. Brooks, A History of Washington County: From Isolation to Destination (Salt Lake City: Utah State Historical Society and Washington County Commission, 1996), 114-15. 27. Bleak, “Annals,” vol. B, 106-8. 28. Andrew Karl Larson, “I Was Called To Dixie,” the Virgin River Basin: Unique Experiences in Mormon Pioneering (Salt Lake City: Deseret News Press, 1961), 262-65; Alder and Brooks, A History of Washington County, 111. 29. Brigham Young, Salt Lake City, to Erastus Snow, St. George, 7 June 1871, in Bleak, “Annals,” vol. B, 109-13, 127; Orson F. Whitney, History of Utah, vol. 4 (Salt Lake City: George Q. Cannon, 1904), 275; Journal History, 23 October 1871, 4. 30. Journal History, 25 November 1872, 1. 31. Orson Welcomes Huntsman, Diary of Orson W. Huntsman, typescript, vol. I, 53-4, L. Tom Perry Special Collections Library, Harold B. Lee Library, Brigham Young University, Provo, Utah. 32. For examples of Huntsman’s work at Pioche and Bullionville, see ibid., vol. I, 74, 81, 82, 94, 96, 110, 111. 33. Ibid., vol. I, 94. 34. Hebron Ward Historical Record, vol. 3, 22. 35. Pioche Daily Record, 30 March; 18, 19, 30 April 1873; 7 April 1877. For additional reports of trade goods from Utah see Pioche Daily Record, 21, 26 September 1872; 8 February; 23 March; 2, 11, 12, 13, 30 April 1873; 16 January 1874; 1 August 1876; 25 August 1877; 28 June 1884; Jack R. Mathews, “Mule Skinners and Bull Whackers: An Archeological Study of Two Historic Wagon Roads in Southeast Nevada” (Master’s thesis, University of Nevada, Las Vegas, 1992), 35-7; and William R. Palmer, “Early Day Trading with the Nevada Mining Camps,” Utah Historical Quarterly 26 (October 1958): 353-68. 36. Mathews and Palmer chronicle Mormon trade at Pioche past the turn of the century. Mathews, “Mule Skinners;” Palmer, “Early Day Trading.” Mathews documents other avenues of supply for Pioche, from San Francisco, Salt Lake City, and the East (25-34). 37. “Brieflets,” Silver Reef Miner, 7 October 1882; 27 August 1881. 38. Pioche Daily Record, 21 September 1872; Pioche Weekly Record, 25 August 1877; Mathews, “Mule Skinners,” 44; Palmer, “Early Day Trading,” 356; Huntsman, Diary, vol. I, 94. 39. Mathews, “Mule Skinners,” 44; Huntsman, Diary, vol. 2, 33. See also Pioche Daily Record, 13 April 1873. 40. On the Utah War see Norman F. Furniss, The Mormon Conflict, 1850-59 (New Haven: Yale University Press, 1960); Donald R. Moorman and Gene A. Sessions, Camp Floyd and the Mormons: The Utah War (Salt Lake City: University of Utah Press, 1992); Richard D. Poll and William P. MacKinnon, “Causes of the Utah War Reconsidered,” Journal of Mormon History 20 (Fall 1994): 16-44; William P. MacKinnon, “The Buchanan Spoils System and the Utah Expedition: Careers of W. M. F. Magraw and John M. Hockaday,” Utah Historical Quarterly 31 (spring 1963): 127-50. On the Mountain Meadow Massacre see Juanita Brooks, The Mountain Meadows Massacre, (Norman: University of Oklahoma Press, 1962); Idem, John Doyle Lee: Zealot, Pioneer Builder, Scapegoat, 3rd ed. (Salt Lake City: Howe Brothers, 1984); and Will Bagley, Blood of the Prophets: Brigham Young and the Massacre at Mountain Meadows (Norman: University of Oklahoma Press, 2002). 41. Pioche Daily Record, 27 September; 5, 8 October 1872; Pioche Weekly Record, 23 July 1881; Anna Jean Backus, Mountain Meadows Witness: The Life and Times of Bishop Philip Klingensmith (Spokane, Washington: Arthur H. Clark Company, 1996), 217-22, 231. 42. Pioche Daily Record, 25 May, 23 July, 1 August 1875; 29, 30 September 1876; Brooks, Mountain Meadows Massacre, 191-98. 43. Pioche Weekly Record, 5 May 1877. 44. “From Silver Reef,” Pioche Weekly Record, 7 April 1877. 45. “From Silver Reef,” Pioche Weekly Record, 5 May 1877. 46. Hulse, Lincoln County, 22; Bourne, “Early Mining,” 142-143; Carolyn Grattan-Aiello, “The Chinese Community of Pioche, 1870-1900,” Nevada Historical Society Quarterly 39 (Fall 1996): 201-15. 47. Paul Dean Proctor and Morris A. Shirts, Silver Sinners and Saints: A History of Old Silver Reef, Utah (N.p. : Paulmar, 1991), 113-19; Alder and Brooks, A History of Washington County, 86; Nels Anderson, Desert Saints: The Mormon Frontier in Utah (Chicago: University of Chicago Press, 1942), 428-32. The demographic information on Silver Reef is taken from the above sources as summarized in Reeve, “Silver Reef” in From the Ground Up, ed. Whitley, 265. 48. Leonard J. Arrington and Richard Jensen, “Panaca: Mormon Outpost among the Mining Camps,” Nevada Historical Society Quarterly 18 (Winter 1975): 214. 49. Hebron Ward Historical Record, vol. 3, 69. 50. Ibid., vol. 3, 108-9; for similar advice given at St. George in 1873, where one speaker “alluded to the influence of strangers over our unsuspecting females,” see Bleak, “Annals,” vol. B, 185. 51. Bourne, “Early Mining,” 68-9; James W. Abbott, “The Story of Pioche,” in The Arrowhead: A Monthly Magazine of Western Travel and Development (Los Angeles: San Pedro, Los Angeles, and Salt Lake Railroad, 1907), 6; Hulse, Lincoln County, 18-19; Charles Gracey, “Early Days in Lincoln County,” in First Biennial Report of the Nevada Historical Society, 1907-1908 (Carson City, Nevada: State Printing Office, 1909), 108; White Pine Daily News (Hamilton/Treasure City, Nevada), 28 July 1870; John L. Considine, “The Birth of Old Pioche,” Sunset: The Pacific Monthly 54 (January 1925): 29. 52. Pioche Weekly Record, 28 June 1884; 2 June 1883. 53. “From Silver Reef,” Pioche Weekly Record, 5 May 1877. 54. Silver Reef Miner, 16 July 1881. 55. “Silver Reef News,” Pioche Weekly Record, 20 November 1880; “Silver Reef News,” Pioche Weekly Record, 15 January 1881. 56. Edward Leo Lyman, Political Deliverance: The Mormon Quest for Utah Statehood (Urbana: University of Illinois Press, 1986), 22-3. Congress further decided to apply the Edmunds Act, ex post facto, to block Mormon polygamist George Q. Cannon from continuing to serve as Utah’s territorial delegate to Congress. The two political rallies described here met in response to a need to elect a new territorial delegate. The Liberal Party at Silver Reef nominated Allen G. Campbell, a Utah mine owner, and the People’s Party, John T. Caine, a monogamist Mormon. Campbell did not garner the Liberal Party nomination for Utah Territory as a whole. Regardless, Caine won the election. See coverage in Silver Reef Miner, 7, 21, 28 October, 4 November 1882. For broader context on Cannon’s removal from office see Davis Bitton, George Q. Cannon: A Biography (Salt Lake City, Utah: Deseret Book Company, 1999), chapter seven. 57. Pioche Weekly Record, 25 February 1882. 58. For reaction at Silver Reef to the Edmunds Act see Silver Reef Miner, 15, 17, 24 March 1882. 59. Pioche Weekly Record, 13 May 1882. 60. “Minutes of a Liberal Convention,” Silver Reef Miner, 7 October 1882. 61. “Minutes of a Mass Meeting of the People’s Party,” Silver Reef Miner, 21 October 1882. 62. Pioche Weekly Record, 9 January 1896. 63. John Taylor made positive statements about mining, and he, along with other LDS church leaders such as Wilford Woodruff, George Q. Cannon, and Joseph F. Smith, invested in silver and gold mines in the 1880s and 1890s. This, however, did not ease the “problems of conscience” that some Mormon miners experienced. See Leonard J. Arrington and Edward Leo Lyman, “The Mormon Church and Nevada Gold Mines,” Nevada Historical Society Quarterly 41 (Fall 1998): 191-205; Philip F. Notarianni, “Mining,” in Utah History Encyclopedia, ed. Allan Kent Powell, 367; Donald Q. Cannon, “Angus M. Cannon: Frustrated Mormon Miner,” Utah Historical Quarterly 57 (Winter 1989): 36-45. 64. See Reeve, “Silver Reef” in From the Ground Up, ed. Whitley, 268-70. 65. Pioche Weekly Record, 23 July 1881; 4 February 1882; 8 February 1900. 66. For detail on DeLamar see Hulse, Lincoln County, chapter 6. 67. St. George Union, 22 February 1896. 68. St. George Union, 12 March 1896. 69. St. George Union, 25 January 1896. For other favorable reports at St. George regarding mining activity at DeLamar see St. George Union, 16 April, 21 May 1896; and 27 February 1897. For other evidence of Mormon prospecting around the turn of the twentieth century, see Carrie Elizabeth Laub Hunt, Memories of the Past and Family History, (Salt Lake City: Utah Printing Co., 1968), 47. 71. See Reeve, “Silver Reef,” in From the Ground Up, ed. Whitley, 266-67; W. Paul Reeve, “In 1879 a Mormon Choir Sang for a Catholic Mass in St. George,” The History Blazer, March 1995; Alder and Brooks, History of Washington County, 115-16; Stucki, “Historical Study of Silver Reef,” 47-48; Francis J. Weber, “Catholicism among the Mormons, 1875-79,” Utah Historical Quarterly 44 (Spring 1976): 141-48; Robert J. Dwyer, “Pioneer Bishop: Lawrence Scanlan, 1843-1915,” Utah Historical Quarterly 20 (April 1952): 135-58. For an account of a 2004 reenactment of the 1879 event see Nancy Perkins, “Religious Friends Relive Historic Moment,” LDS Church News, 22 May 2004, 5. 72. Franklin A. Buck, A Yankee Trader in the Gold Rush: The Letters of Franklin A. Buck, comp. Katherine A. White (Boston: Houghton Mifflin Co., 1930), 234-36. 73. Leanette Robertson, “Not made to feel welcome in Dixie,” The Spectrum, 28 December 2006, A6. 74. For evidence of Washington County’s growing religious diversity see Alder and Brooks, A History of Washington County, 294-98; and Matt Canham, “Mormons in the Mix: Washington County population boom religiously diverse,” Salt Lake Tribune, 26 July 2005.